Kamen Rider Ghost‘s DX Ghost Driver and the Ultraman toy line bring home Japan Toy Prizes for Bandai. The “Japan Toy Prize” began in 2008 by the Japan Toy Association to award and promote the top toys in Japan for that year. The 2015 prize show recently concluded, with Bandai taking home a number of prizes. Toys are placed in multiple categories such as Boys, Girls, Educational, Innovation, and Communication. A number of other prizes such as “Hit of the Year” and “Special Prize” are also given away at the show. The DX Ghost Driver has won “Hit of the Year” at the most recent Japan Toy Awards. While TakaraTomy’s BeyBlade series ultimately won “Boys Toy of the Year”, the newest Kamen Rider belt was classified as the biggest hit of 2015. This is a common award for the Kamen Rider series, as the main DX Belt of the series had won previously in 2011 to 2013, getting beaten out in 2014 by Yokai Watch‘s DX Yokai Watch Zero Type. 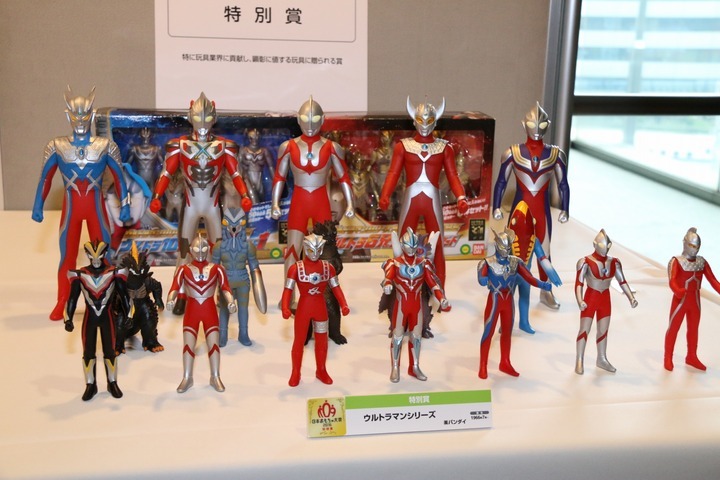 The Ultraman series gained a “Special Prize” at the show for its popular line of vinyl figures, the Ultra Hero and Ultra Monster Series. 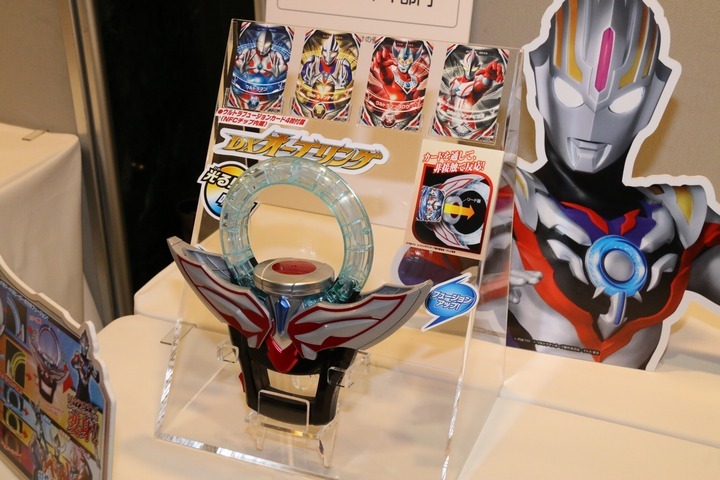 A small demonstration booth was also at the event to show off the upcoming Ultraman Orb toy line’s flagship device, the DX Orb Ring.